Did you think I would do gift guides and not one for myself? Get out of town. There are a few ridiculous things on this list but isn’t that the point of making one? That’s what I thought. But there are also some good ideas on here for that person who is the hardest to shop for ever. I think I might be this person. Might. I’ve also included more ideas below. And since it’s freezing here, these sneakers are amazing and any gal would love to have them. Including myself. Don’t forget to go watch me act (or try to) in today’s episode of Pinched! ALSO…today is my Mom’s birthday, guys! Happy Birthday, Mom. You don’t look a day over 35. It’s a throwback Thursday! Also, I have no idea who took this picture but I know they did an awful job. 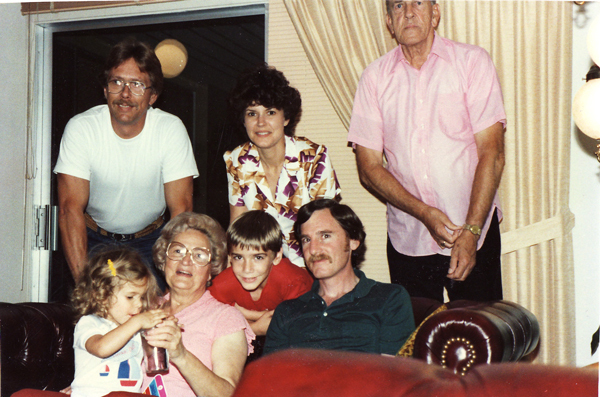 Not everyone was looking in the same place, my grandpa’s head got cut off, I’m trying to steal my grandma’s drink. Ridiculous. Obviously my mom is not the woman who I am sitting on (so we’re all clear). HBD mama boo. Also that list is perfection. Top and sunglasses need to be in my life ASAP. Yes, add that little Gucci bag to my wishlist for sure! As much as I love giving, I definitely have a “for me” guide, too. And nowwwwww I’m adding everything from yours to mine–love it all! 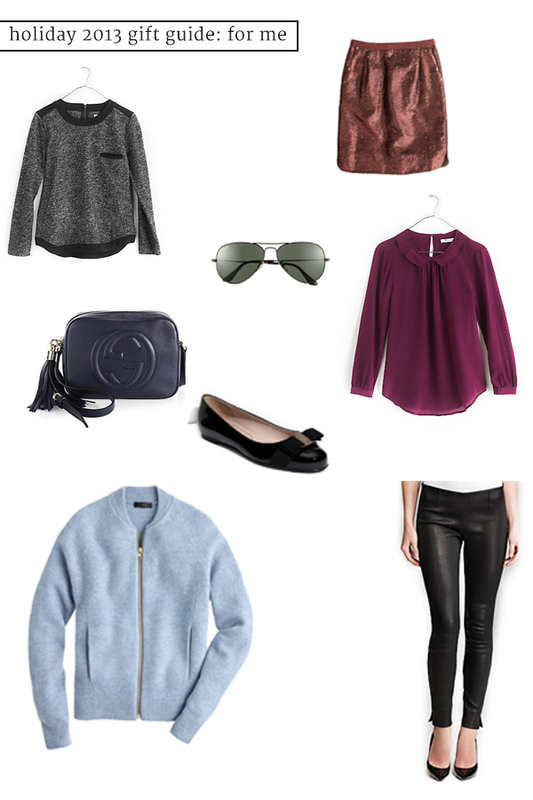 I have been eying that sequin skirt for weeks – its definitely on my list!